I know it’s spring when I can’t sit for more than three minutes in front of the computer, I pace, stopping at the window to stare at the daffodils, the poppies, and the wild plums all pink with flowers. Color is everywhere out there, and I’m itching to enjoy it up close. However, business first, so here’s my First Wednesday post for April and a great spring hello to everyone. And I’ve started spring off with an INTERVIEW. The BOOK SAGE, a reviewer, asked me make an appearance on his blog. Of course, I said YES! Please stop by and say hello. 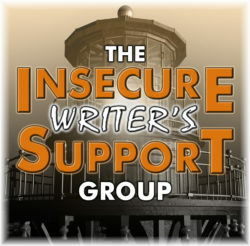 The awesome co-hosts for the April 3 posting of the IWSG are some of my favorite people! Please go say hi to them and thank them for hosting. J.H. Moncrieff, Natalie Aguirre, Patsy Collins, and Chemist Ken! Remember, the question is optional! I’d wish for a solid and non-saggy middle chapter–maybe I’d push my luck and ask for a few of those. For me the middle of the book is a challenge. I’ve set up the story and I usually know how I’m going to end it. It’s that long bridge between that I do battle with to keep the pace up and the characters at their charismatic best. My greatest worry is the middle chapters will be as sad as an old mattress. Of course, wishing won’t prevent saggy-ness from happening; only long hours of weary fingers on the keyboard and longer ones deleting and rewriting with those same weary fingers will do that. Here’s my wish! Non-saggy middle chapters. This month on my Email Connect, I’m begging for people to STEAL MY BOOKS. I’ll let you know if I have any takers. My featured author is Alex Cavanaugh. Surprise! 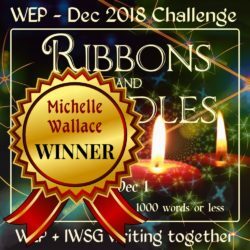 And I’m linking to the WEP winner for the February challenge. And speaking of the WEP…here’s the April theme. Better jump in now with your contribution. Sign up HERE. Rescuing Mara’s Father kept me reading. From my Review: When Mara’s father is abducted by an evil queen, she ignores all of her father’s wishes for her to hide and stay safe to go in search of him. 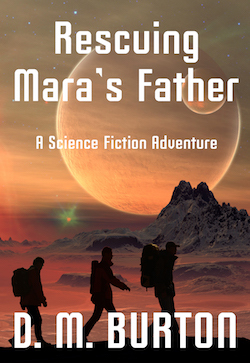 Set in a distant future and a fictional galaxy, Rescuing Mara’s Father is a fast-paced science fiction adventure with unexpected twists up to the very end. You’ll enjoy the read. As usual there are things happening here at #IWSG. Our latest excitement is our affiliation with DIY MFA so we can bring you great programs for writers. This is actually my excuse for not visiting blogs early this month. I’m in a training session today. But I’ll be around to say hi and catch up soon. Here’s a podcast that you should sample. It’s with David Morrell who is just brilliant. Then there’s one with David Corbett that’s very like a master class on writing characters based on historical figures. There are many more, so don’t touch that dial. There’s going to be something for everybody. 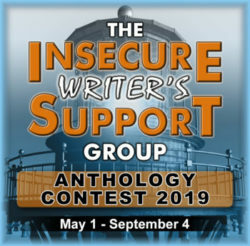 And another IWSG Anthology Contest is on the horizon. We’ll announce the theme next month, but start thinking about Middle Grade Adventure/Fantasy stories you’d like to write. You’ll have from May 1-September 4 to enter. 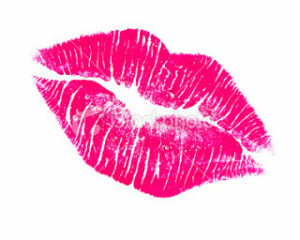 The co-hosts for the February 6 posting of the IWSG are Raimey Gallant,Natalie Aguirre,CV Grehan, and Michelle Wallace! The Question of the Month: Besides writing what other creative outlets do you have? Does hiking or gardening count as creative? Well, maybe gardening. Here’s a pictorial answer to the question. A BEFORE and AFTER garden visit. Didn’t we just post the Last First Wednesday of 2018? Yes. So now we get to start fresh with the First First Wednesday of 2019. Happy New Year and read on to find out what a great start we have! Ans: Sometimes. I like to steal some of the good ones for my own uses. I read both good and bad and try to learn from each. My one caveat is that they must be well-written. Poor grammar or sloppy writing in either the good ones or the bad ones turn me off, and I ignore them. I love it when there are big differences in how readers react to what I’ve written. What is your advice for writers? Ans: I have absolutely no advice. If someone wants advice they should go to an expert in writing/publishing, which I’m not. Ans: My most current one is that I don’t have a process. If I did, I’d be ever so grateful. What I have are a lot of accidents that produce stories. In my Email Connect this month, I’m writing about my take on networking in 2019, and I’m featuring Diane Burton. I just realized that this first Email Connect of the year is my 58th, and I only send one or two each month. This might be where some of my time goes. And here’s some exciting news! We have WINNERS–a lot of them. Look for Masquerade: Oddly Suited late spring! 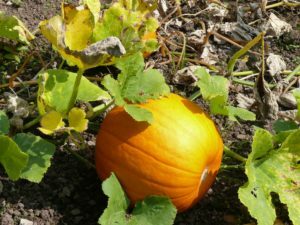 October 3 question – How do major life events affect your writing? Has writing ever helped you through something? I’m skipping the question this time around. I have too much to say about this topic at the moment. The awesome co-hosts for the October 3 posting of the IWSG are Dolorah @ Book Lover, Christopher D. Votey, Tanya Miranda, and Chemist Ken! Have you started your story to enter it in the next Anthology Contest? I hope so. Check out this LINK to find out all of the details. My favorite month has just arrived. If it were up to me, we’d have three months of October; then January. I’d make pumpkin pie every four weeks because, of course, I’d have to carve fresh Jack-O-Lanterns and have them at the door for the Trick-or-Treaters that would come at the end of each October. At last, I could really get some good use out of my witch hat, and I wouldn’t have to do my hair–the messier and witch+ier the better. I love orange and black together, so seeing that theme for ninety days would be just fine by me. I’d have to stock up on more apple cider and cinnamon sticks than usual, but Trader Joe’s has plenty of each. As to the ghosts and gremlins that hang out during this season, I’d use them as writing inspiration. So I think this year, I’m keeping October around until the ball drops in Times Square. In my October Email Connect I tackle Honesty and how Social Media affects our Truthfulness. Do you ever think about telling a fib on, let’s say, Facebook, and then change your mind? Why? Stanford Social Media Lab has some interesting findings about the TWO ONLINE WORLDS AND TRUTH. I’ve shared that this month. I’m also featuring another of my good friends and supporters L. Diane Wolfe. If you’re on my list, let me know what you think. If you’re not, JOIN now and get a free short story that only my mailing list will ever see. I only drop into your inbox once a month as long as you want me to. Since we’re in the ghostly-ghastly season, I thought a giveaway with a touch of horror would be in order. I’m in love with Roland Yeoman’s prose, and his amazing journeys with the literary, scientific, and political geniuses of the past. Imagine all time restrictions lifted. Imagine what kind of synergy brilliant minds from from different times can create when allowed to mingle. 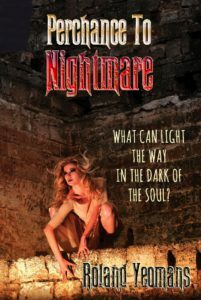 I recently REVIEWED SILHOUETTES IN THE KEY OF SCREAM and Roland has generously agreed to give away 10 eBooks of that short story collection AND 10 of the companion collection, PERCHANCE TO NIGHTMARE. If you want to shiver and shake this fall, here’s your chance. To enter to win, just jump through three quick social media hoops; and then tell him which book you want when you leave a comment. Good luck. What publishing path are you considering, or what one did you take, and why? Toi Thomas, T. Powell Coltrin, M.J. Fifield, and Tara Tyler! 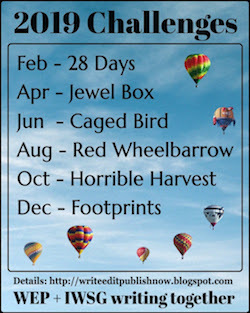 I’m skipping the question this month because most of my readers have already heard about my “journey.” I don’t want to bore you with a rehash. But here’s something un-boring: Sharpen your computer keys and get cracking. It’s anthology contest time. This one is YA romance and the theme is Masquerade. It should be great fun and I’m sure there are going to be a lot of amazing entries. Jump in and I hope your story is chosen. How to enter: Send your polished, formatted (Double spaced, no page numbers), previously unpublished story to admin@ insecurewriterssupportgroup.com before the deadline passes. Please include your contact details, your social links, and if you are part of the Blogging, Facebook, Instagram, or Twitter IWSG group. 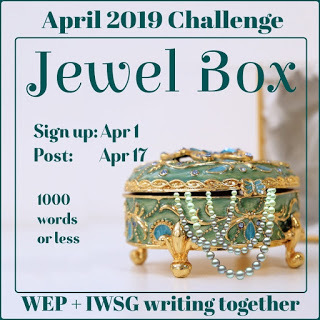 I miss doing my Featured Author each month, but while I’m not doing that I am giving some authors a shout out in my Email Connect and here on the IWSG First Wednesday. Here’s one of Bish Denham’s books. To see all of her work, click HERE. I’ve been adjusting to life as a single person since May, and the ups and downs of doing that have kept me busy; however, I am slowly coming back to writing. I even managed 1,000 words on a manuscript yesterday. Of course, I haven’t read them today, so I could wind up with closer to 50 that I like. Oh well, baby steps it is. I’m starting to reconnect with the writing community a bit and will put in an appearance at J.Q. Rose’s Focused on Story September 12. Then in October, I’ve been invited to an all-day writer event at the Monterey County Library. I’ll be on a panel and teaching a workshop. 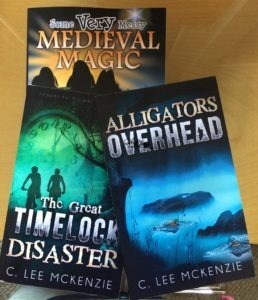 This will give me a chance to do a bit of promo for Some Very Messy Medieval Magic, and that will be fun. I don’t have all of the details yet, but will share them when I do. My title sounds a bit like Lewis Carroll, doesn’t it–sort of a Mad Hatter line. But I’m not mad yet, just stating the facts. We’re posting today so everyone can celebrate. And what are we celebrating, anyway? Raise your hands. Well, not exactly, but we are taking that demon on each month and wrestling him to the mat by offering support and information to all writers who might have insecure episodes. July 3 question – What are your ultimate writing goals, and how have they changed over time (if at all)? Be sure to visit the awesome co-hosts for today: Nicki Elson, Juneta Key, Tamara Narayan, and Patricia Lynne! Quite honestly I have one ultimate writing goal–to write the very best I can and enjoy every minute possible while trying to do that. Of course my goals have changed since I started writing. First I just wanted to write a book. Then I wanted someone to publish that book. I reached those goals, so I set some new ones: write another book, have someone publish it, repeat. After a few young adult novels, I thought it might be fun to try my hand at something different, so I set a goal to write for the middle grade reader. Check! Goals are great to set, great to reach, and great to look back on. I see a lot of writers who blog and put down theirs regularly. It’s always exciting when they post a follow up to say they’ve accomplished what they set out to do. 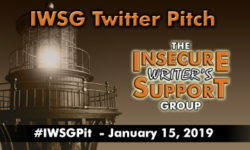 REMINDER: THE NEXT #IWSGPIT IS COMING JULY 19, 8AM to 8PM. For details click HERE. I can’t do my Featured Author for a while, but today I want to give a shout out to some writers whose books I’ve enjoyed. 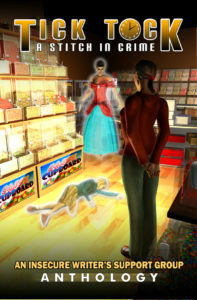 Carol Kilgore is writing a series that has me waiting for the next installment. THE AMAZING GRACIE TRILOGY, BOOK 2 is on its way. 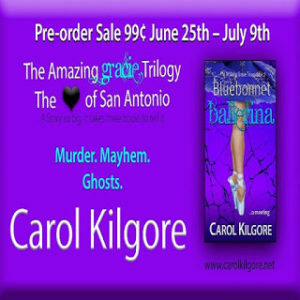 You might want to pre-order Bluebonnet Ballerina now. It’s on sale for .99. Good only through July 9th. I read book 1, THE JALEPENO CUPCAKE WENCH. My review’s here. 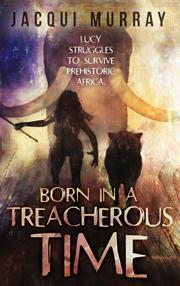 Jacqui Murray’s another writer who grabs my attention. I really enjoyed her book, Twenty-four Days (my review) and her latest one, Born in a Treacherous Time (my review). This is quite a different kind of story, and points out that this writer has some excellent storytelling talent. These few months have had more highs and lows than I can ever remember. My husband became very ill. LOW. Even with backup, I could only restore some data, not all. Medium. I’m ready for a touch of doldrums. These choppy seas are getting to me. In the meantime here’s my gratitude for all who’ve signed on to help with SVMMM. Once I’m back up to full speed, I hope these authors will accept my invitation to be FEATURED on my blog. I’ll be putting out that call again soon. If you want a GIFT and my behind the scenes NEWS, sign on for my Email Connect. I invade your inbox two times a month, sometimes only one. I often have more giveaways and what I hope is helpful information for writers and readers. Well, I made it through March–barely. 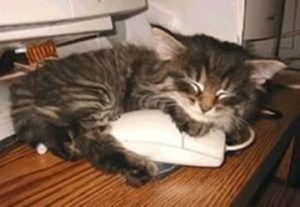 If you saw my FB post, you’ll know my computer crashed on Friday! Anyway, this is my last post for the month, and next month I’ll be posting on Tuesday, April 3 for the #YASH (Young Adult Scavenger Hunt). Come see. There are over a hundred book being given away. AND IT’S FUN. On the first Wednesday–#IWSG–I’ll be at Tick Tock: A Stitch in Crime. We have a super blog, so please come for a visit. I’ll leave a reminder here with a link, so I hope you’ll pop over and see what’s up there. 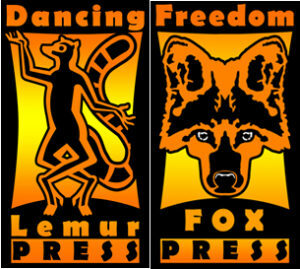 I’ve featured authors who are in that anthology, and today we have the last author of the month and a chance to chat about the publisher, Dancing Lemur Press. Take it away. This is the third Insecure Writer’s Support Group anthology we’ve published, the first two being Parallels and Hero Lost. There are both challenges and delights when dealing with an anthology. Juggling all of the authors can feel like herding cats sometimes. We have to keep track of each story’s edits, author information, and coordinate marketing with a group rather than an individual. What’s refreshing is the variety that comes with so many viewpoints. Ideas pour forth in terms of promotions. Each writer is in a different location, broadening the marketing reach. Yet they all come together into one powerful dynamo. For some of the writers, it’s their first publication, and that is just a joy to behold. Plus the stories are unique, which adds a little spice to the editing process. That will also add some spice for the readers. Thanks for back story from the publisher’s point of view! And what you wrote about spice is so true. I read all of the stories, and each of them has a unique take on the theme. There’s something for every reader, and yet all will appeal because they are well-written. Our trademark is not just a logo – the Dancing Lemur represents optimism, enthusiasm and belief. Our goal is to provide hope for the reader’s dreams and aspirations. Share the vision and come dance with us! And now here’s Mary Aalgaard. First,I am honored and thrilled to have my story chosen for the IWSG anthology Tick Tock: A Stitch in Crime. All of the stories are wonderful and unique. I am proud to share the pages with all the other fine authors! This is my first publication outside of magazine stories and producing my own play, and what a great way to start! The other authors are all creative and supportive. We’re working together to promote the book with such great energy. A little about my story, One More Minute. 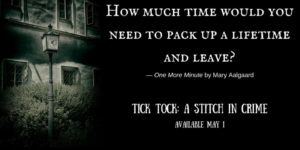 The short story I wrote for the Tick Tock: A Stitch in Crime anthology is about a woman who is making a major change in her life. She faces great danger in doing so and has a limited amount of time to pack up her life and leave. I started writing a journal from the main character’s point of view. It’s a way to give her more backstory and will be a lead in to the short story you’ll read in Tick Tock. Here’s an excerpt from the first entry, 10 years earlier. I can’t believe I agreed to get a puppy! Honestly, I have enough people to take care of. The boys are only 8-years-old, and they can promise until they’re blue in the face that they’ll help take care of him, but I’ve seen their room! Ha! They can’t even remember to make their beds in the morning or put their dirty underwear in the clothes hamper in the bathroom – come to think of it, neither can their dad! If I had a dollar for very pair of dirty boxers I’ve handled! Of course, Grayson got the boys’ hopes up by talking about the dog and showing them pictures of Golden Retrievers. I hope he doesn’t try to push all the work off on me like he does with the boys. I could count on one hand the number of dirty diapers he changed or school lunches he’s packed. He’ll have to be the one to train him for hunting. Later that day…Well, who can resist a face like that!?! The boys absolutely fell in love with the puppy as soon as the owners introduced us to him. After much debate, and a family vote, we decided to name him Bo. Jake wanted to name him Cheerio and Justin was pushing for Vader. Grayson shot those names down, a little unkindly, IMHO, but when I said, “Bo,” he actually said he liked it. 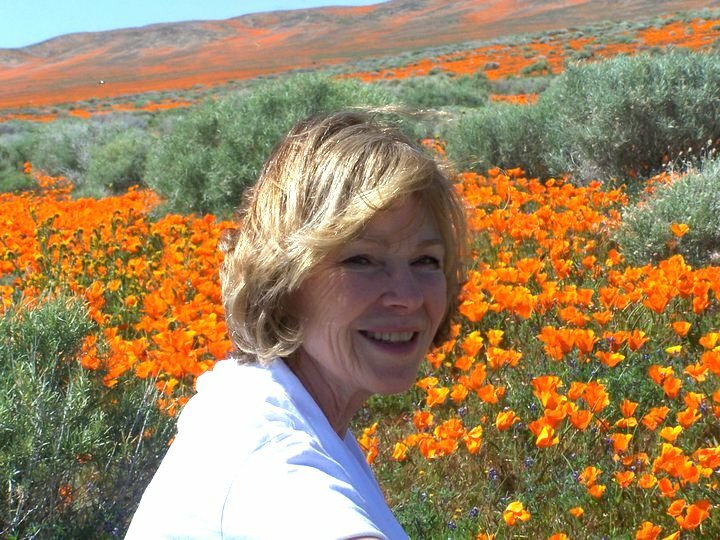 Mary Aalgaard is a playwright and piano/theater teacher, living in the heart of Minnesota. She writes theater reviews and supports the arts through her blog Play off the Page. She teaches youth theater workshops in the Brainerd lakes area, writes articles for regional magazines, and works with both seniors and youth in multi-generational programs to enhance quality of life and build community. Her website is PlayoffthePage.com. You can follow her on her Play off the Page Facebook page, @MaryAalgaard on Twitter, and email her at Mary@playoffthepage.com. I’m not doing a quiz this week…I know how disappointed you are, but it’s time for a spring break. Class dismissed. Did you guess the authors for each of these justice themed books? Here are the answers. A. Absalom,Absalom! is William Faulkner’s masterpiece. Its complex, fragmented structure is a reading challenge, but wow, does it belong among the literary greats in America. C. The Dispossesed by Ursula K. LeGuin tackles the fight for social justice, economic inequality and racial inequality in this futuristic novel. S. In The Crucible Arthur Miller used the Salem Witch Trials as an allegory for the anti-communist Red Scare and the congressional hearings of Senator Joseph McCarthy going on in the United States in 1953. It’s Monday again, my blogging day. I’m getting close to making some major changes in my blogging ritual, but for now I’m determined to keep to my first day of the week schedule. I’ve been chasing my own tail for several months with illness in our family and two books due to come out in May, so I’ve made a few mistakes. If I sent you something you didn’t ask for, or didn’t send you something that you did ask for, give me holler. I’m making lists of what I have to do to clean up any messes I’ve made lately. 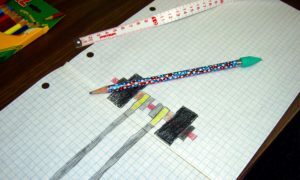 I’m sure there’s a paper and pencil here somewhere. I’ve nearly given up on this “trusty” Apple I used to love. That’s another reason I’m not running on all cylinders. Sometimes this beast likes me and sometimes it doesn’t. Today it brought me spam as a present, like my cat used to bring me mice. Thank you so much. Tick Tock: A Stitch in Crime. Amazon . B&N. Kobo . Smashwords . We could use help in spreading the word about the launch, so if you haven’t already signed on and can give us a blog post, some tweets, Instagram boosts or Facebook shout outs, leave that in the comment, and I’ll get back to you. 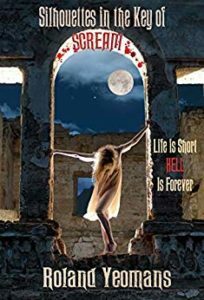 I’ll be giving a shout out to Tick Tock: A Stitch In Crime anthology each week this March, and here’s my second Featured Author, Tara Tyler and her story, Reset. My Review: Reset is a time travel story in which an old man finds a young girl with the “energy” necessary to propel him back in time. He’s waited for years to make this journey and change an event that forever altered his life and the life of everyone in his family. 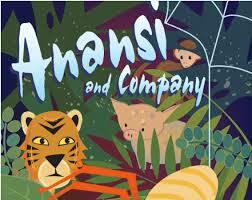 A well-told story with an unexpected end that you’ll think about for a while. Perhaps the past should remain exactly that. Remember in English class when the teacher asked you what the theme of a book was? I used to dread that! Time travel isn’t all it’s cracked up to be. Appreciate your family while you have them. Slow down and enjoy life. Twelve-year-old Casey has no time for her quirky family. Mr. Zander has been searching for the perfect specimen to save his. When Casey walks into Mr. Zander’s clock repair shop, he sees her as a prime contender and coerces her to help him. Hopefully, the machine will work this time. I’m excited to read the rest of the stories in the TICK TOCK, A STITCH IN CRIME anthology. Thanks for having me over, Lee. Always a treat to be featured here! Tara Tyler is a math teacher who writes to share her passion for a good story with others. She loves dogs, coffee, and is the lazy housewife, living in a world of boys with three sons and a coach husband. Join her for an adventure! I love time travel stories, don’t you? Here’s a T/F Quiz about other stories with this theme. 1. The classic tale, The Time Machine, was written in 1930. 2. A Wrinkle in Time caused a bidding war among publishers when L’Engle submitted it. 3. It was Scott Turow’s endorsement of The Time Traveler’s Wife on The Today Show that kickstarted that book’s climb up the charts. Answers to last week’s quiz about matching authors with their stories written with multiple points of view.